BEIJING (AP) — China's government on Monday accused the United States of trying to block its industrial development after Vice President Mike Pence said Chinese equipment poses a threat to countries that are rolling out next-generation mobile communications. And in a potential blow to U.S. efforts to rally its allies on the issue, British media reported U.K. intelligence agencies found it is possible to limit potential security risks of Chinese equipment in fifth-generation networks. The U.S. argues Beijing might use Chinese tech companies to gather intelligence about foreign countries. 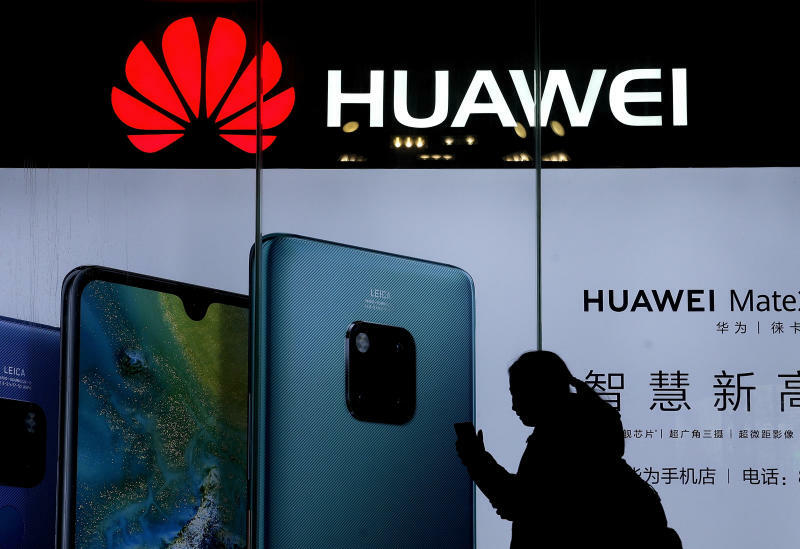 The Trump administration has pressured allies to shun networks supplied by Huawei Technologies Ltd., threatening the company's access to 5G markets. Huawei, the biggest global maker of switching gear for phone and internet companies, denies accusations it facilitates Chinese spying. Its founder said last month it would reject government demands to disclose confidential information about foreign customers. The U.S. government is trying to "fabricate an excuse for suppressing the legitimate development" of Chinese enterprises, said a foreign ministry spokesman, Geng Shuang. He accused the United States of using "political means" to interfere in economic activity, "which is hypocritical, immoral and unfair bullying." Mike Pence, speaking Saturday in Germany, urged European allies to take seriously "the threat" he said was posed by Huawei as they look for partners to build 5G networks. The 5G technology is meant to vastly expand the reach of networks to support internet-linked medical equipment, factory machines, self-driving cars and other devices. That makes it more politically sensitive and raises the potential cost of security failures. In what could amount to a turning point for the U.S. effort to isolate Huawei, Britain's National Cyber Security Centre has found that the risk of using its networks is manageable, according to the Financial Times and other British media outlets. The reports, citing anonymous sources, said there are ways to limit cybersecurity risks. They said the U.K.'s decision would carry weight with European allies who are also evaluating the safety of their networks. The British government is due to finish a review of its policies on the safety of 5G in March or April. The office of British Prime Minister Theresa May said Monday that "no decisions have been taken." If eventually confirmed, "such a decision by the U.K. would be a strong message and could be influential in the medium term," said Lukasz Olejnik, a research associate at Oxford University's Center for Technology and Global Affairs. The British review "could inevitably serve as an input or a reference point in other countries' risk assessments," he said. Officials including a vice president of the European Union have expressed concern about Chinese regulations issued last year that require companies to cooperate with intelligence agencies. No country in Europe, however, has issued a blanket veto on using Huawei technology in the way the U.S. has urged. The U.S. Justice Department last month unsealed charges against Huawei, its chief financial officer — who had been arrested in Canada — and several of its subsidiaries, alleging not only violation of trade sanctions but also the theft of trade secrets. The United States has not, however, released evidence to support its accusations that Huawei and other Chinese tech companies allow the Chinese government to spy through their systems. That has prompted some industry analysts to suggest Washington is trying to use security concerns to handicap Chinese competitors. Britain's National Cyber Security Centre acknowledged last summer that it had concerns about the engineering and security of Huawei's networks. While not commenting Monday on the media reports, it added: "We have set out the improvements we expect the company to make." Huawei said in a statement Monday it is open to dialogue and that "cybersecurity is an issue which needs to be addressed across the whole industry." Associated Press writer Kelvin Chan in London contributed to this report.